Rapids Water Park is a water park in Riviera Beach, Florida, attracting roughly 400,000 visitors per year. Founded in 1979 with just four water slides, the park has expanded to offer 42 slides and other attractions including a wave pool, a lazy river, and small-scale rides for children and toddlers. Riviera Beach is the easternmost municipality in the Miami metropolitan area. Dozens of sailboats are moored in Woodford Bay, New South Wales, Australia. Surrounding Woodford Bay is Longueville, a small residential suburb of Sydney, located about 5 miles (8 km) northwest of the city’s central business district. Thousands of boats like the ones seen here are stationed in the channels and around the islands in the greater Sydney area. Glen Lake is a lake in northwestern Michigan, USA, located just offshore Lake Michigan. It consists of two bodies of water connected by a narrow channel — "Big Glen Lake" and "Little Glen Lake," which together cover about 6,300 acres (25.5 sq. km) of surface area. With its surrounding wooded sand hills and remarkably clear water, Glen Lake is considered by many to be one of the most beautiful lakes in the Great Lakes Region. Tokyo is the capital of Japan and the most populous metropolitan area in the world, with upwards of 38 million residents. Also, as of 2014, it had the largest metropolitan economy in the world, boasting a total gross domestic product (GDP) of $1.6 trillion. 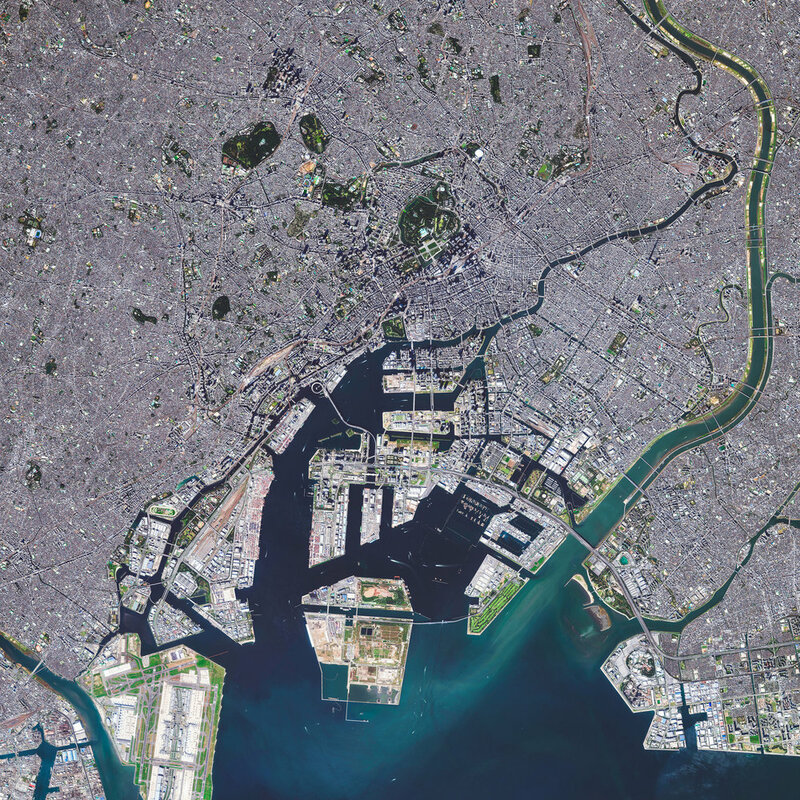 This Overview captures just a small portion of the city on Tokyo Bay, with the Arakawa River featured on the right-hand side. On August 28, 1963, more than 250,000 civil rights supporters gathered in Washington, D.C. to hear Martin Luther King Jr.’s famous “I Have a Dream” speech. 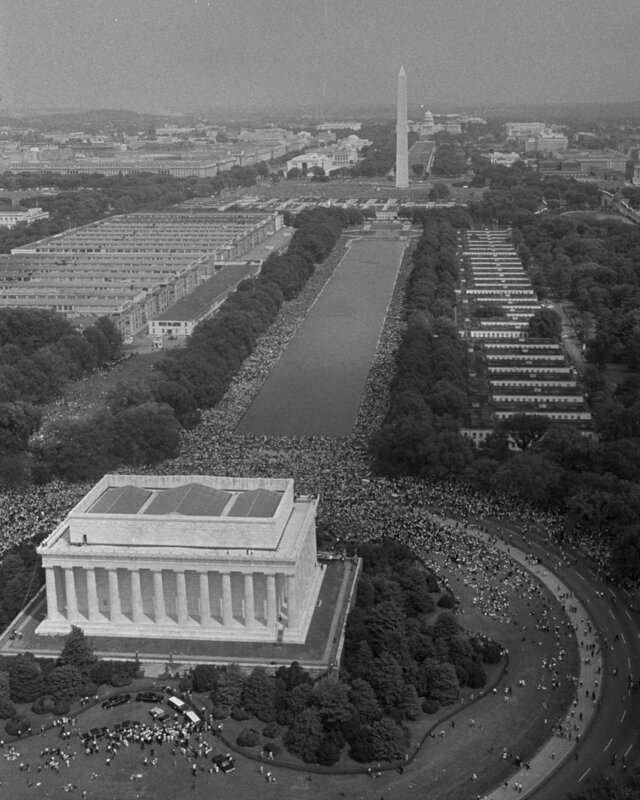 As shown in this Overview, listeners stretched from the steps of the Lincoln Memorial all the way to the Washington Monument, a distance of nearly one mile (1.3 km). Today — the third Monday of January — marks Martin Luther King Jr. Day in America, a day to remember his life and contributions to the Civil Rights Movement. Clouds circle the summit of Mount Damāvand, the highest peak in Iran with an elevation of 18,403 feet (5,609 m). As a potentially active stratovolcano, Mount Damāvand is also the highest volcanic mountain in Asia and part of the Volcanic Seven Summits mountaineering challenge. Located on the southern coast of the Caspian Sea, it is roughly 41 miles (66 km) northeast of Tehran. In this Overview, large rock formations are shown rising above the desert landscape in Northeastern Arizona, USA. This region is arid, largely void of greenery, and characterized by hills, mesas, buttes, cliffs and canyons. This particular outcrop is about 12.5 miles (20 km) due east of the Navajo National Monument, which contains the well-preserved cliff dwellings of the Ancestral Puebloan People. Powderhorn Park is a residential neighborhood of Minneapolis, Minnesota, consisting mostly of single-family homes, duplexes and some low-rise apartment buildings. The community's eponymous park system and lake — shown at the center of this Overview — hosts local sporting events, community education classes, and ice skating in the winter. Piraeus is a port city in Greece, roughly 7 miles (12 km) outside Athens. Since ancient times, it has served as a vital trade and transportation hub, and its port is currently the busiest passenger port in the country. In fact, the Port of Piraeus was the busiest in all of Europe in 2014, when it handled 18.6 million passengers. This Overview shows a large picnic at US-Mexico border, spanning from Tecate, California, USA, to Tecate, Baja California, Mexico. The meal is being eaten atop “the eyes of a Dreamer,” a mural painted by French artist “JR” for the one-day-only installation in October 2017. The eyes depicted in the mural are those of a Deferred Action for Childhood Arrivals (DACA) recipient. Seattle Center is an arts, educational, tourism and entertainment center in Seattle, Washington. Its landmark feature is the 605-foot (184 m) tall Space Needle, an observation tower that has become a symbol of the city. 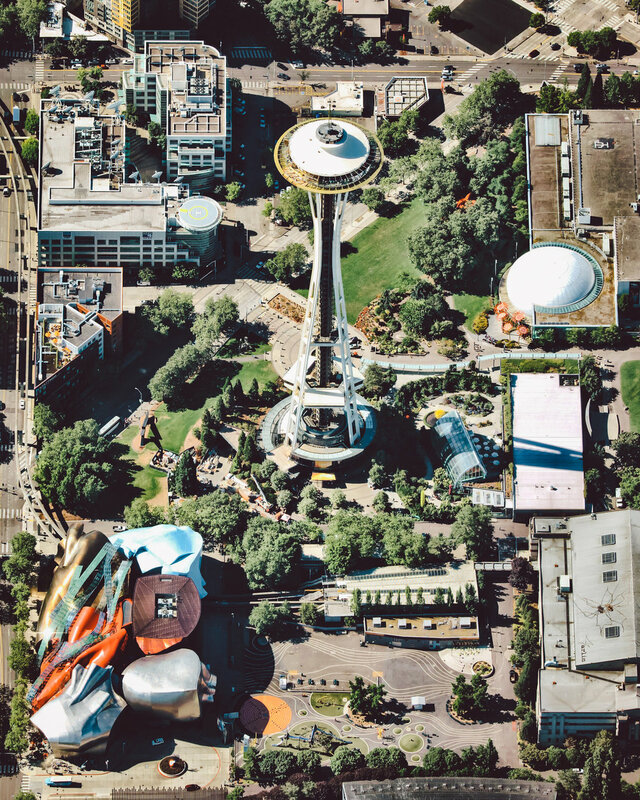 Other attractions shown in this Overview include the Museum of Pop Culture (bottom left) and the Seattle Children’s Museum (bottom right).